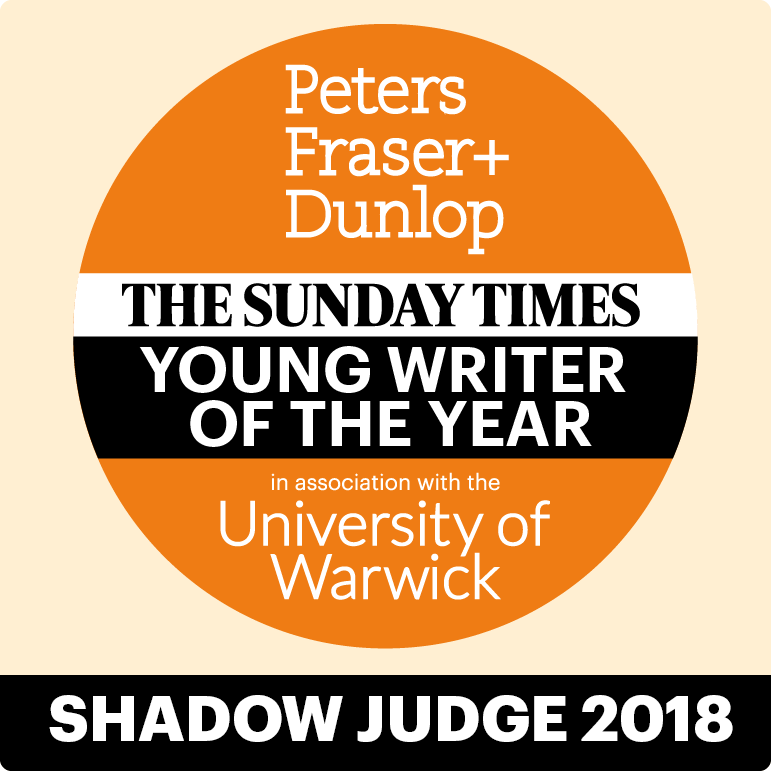 I am genuinely humbled to announce to announce that I have been asked to be a member of the official shadow panel for The Sunday Times/Peters Fraser & Dunlop Young Writer of the Year Award, in association with Warwick University. It is awarded annually for a full-length published or self-published (in book or ebook formats) work of fiction, non-fiction or poetry, by an author aged 18 – 35 years. The winner receives £5,000, and there are three prizes of £500 each for runners-up. The winning book will be a work of outstanding literary merit. The Irish writer Sally Rooney was named last year’s Young Writer of the Year for Conversation with Friends (Faber & Faber), which went on to be shortlisted for the Rathbones Folio Prize, the Swansea University International Dylan Thomas Prize, and the British Book Awards. Rooney followed Max Porter, who won with his genre-bending Grief is the Thing with Feathers (Faber & Faber), and the poet Sarah Howe, who was awarded in 2015 for her first collection, Loop of Jade (Chatto & Windus), which went on to win the T.S. Eliot Prize. This year’s winner will join these three exceptional writers, and a list of alumni that includes everyone from Robert Macfarlane and Simon Armitage to Zadie Smith and Sarah Waters. The prize – which rewards the best work of fiction, non-fiction or poetry by a British or Irish author aged between 18 and 35 – has become the definitive platform for young writing. Working with a growing network of partners, including the British Council, it provides a vital support system to the very best talent at work now. Generously sponsored by literary agency Peters Fraser + Dunlop, and created by The Sunday Times, the Young Writer of the Year Award is running in association with the University of Warwick – home to the acclaimed Warwick Writing Programme – who are offering a bespoke 10-week residency for the award’s winner, and a year long programme of digital support for the Prize. The British Council is the international partner of the prize. The shortlist will be announced on 4 November in the Sunday Times. Shadow Panel Winner Announcement – 28th November. The winner will be announced on 6th December at an evening event in London. How exciting – well done, you! I will look for your posts with interest and also explore your fellow shadow panellists. Have fun!